If I was a woman, I think I would be a little offended by the Artery Lady Q vape mod. From a liberal feminist perspective, I would ask, “why can’t I just use the same vape mod as all the guys?”, “why does my vape mod have to be in the shape of a lipstick tube? Because I’m a girl?” That was my initial impression. In general, I’m not a fan whatsoever of vape mods shaped or made to look like other things (see my review for the Micro Vaped V4). I just think they’re tacky and the novelty wears off quickly. But, when you not only disguise a mod to look something else, and you chose to hide it like a tube of lipstick as a desperate attempt to pander to women, then you’ve done it. But then again, how many vape manufacturers are thinking about the female market? How many vape manufacturers are trying to appeal to women? 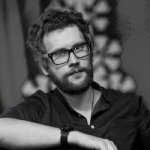 How many are going out of their way to make products that are specific to them? So, I guess, Artery does deserve some credit for even trying, although they may have fallen a little short in terms of execution, in my humble opinion. But, I digress. Our mission is to review new vapes not provide the final verdict on gender imbalances in society, so, without any further ado, I give you the Artery Lady Q. Inside the Lady Q, you’ll find a 1000mAh battery. It is perfect for sub ohming since the coils are optimized for 0.7 ohms of resistance. 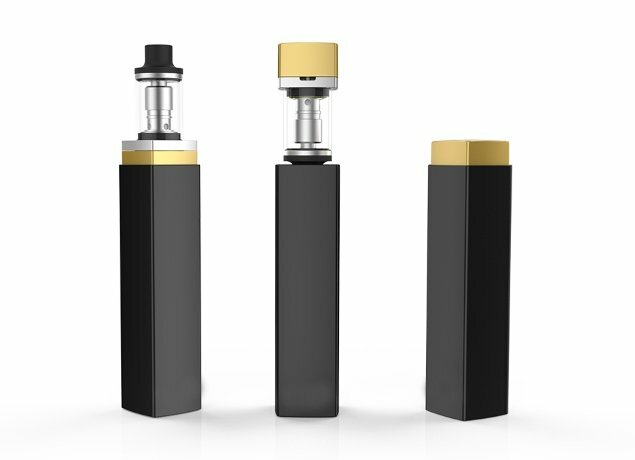 There is a concealable 1.5ml tank at the top of the battery that twists back into the battery casing for discrete, on-the-go vaping. So, even though the Lady Q is supposed to be a vape mod for women, Artery didn’t go all out and package the Lady Q in an accessory bag or anything close to that. Thank you for the forethought, Artery. The Lady Q is supposed to impress with its design aesthetic, and it does, in a way. It fits great in hand when the atomizer is pulled out and attached. Everything was well-organized in the box, with the separate parts stored in labeled boxes, which was a thoughtful touch. A plastic sheath nicely protects the battery, and when you tear it off, you can feel the smooth, glossy feel of the battery, which was a little slippery for my taste. The battery alone features a USB port for charging and has the firing mechanism on the bottom of the device, which is touch and heat-sensitive. The atomizer is concealed on the bottom of the top cap, which you need to pull off to reveal the tank on the bottom of the cap. The 1.5ml tank then attaches to the chamber revealed inside with a magnetic seal, so no need to worry about it falling out. The firing button needs only five clicks-on/five clicks-off to get going and you can more or less start vaping right away. The Lady Q is supposed to be a starter kit, so there’s no real fussing or mussing necessary, just need to fill it up the tank and fire it up. 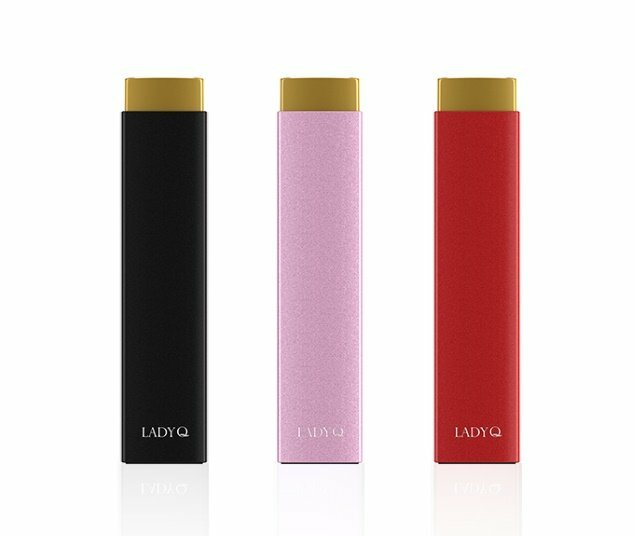 So the Lady Q, apart from being a vape mod for the ladies, also functions as an AIO and starter kit, to make assembly and vaping as comfortable as possible. The Lady Q does feature sub ohm coils so the vapor clouds, I found, were consistent with those type of specs. The coils were durable. I used the Lady Q for about a week before I found I needed to swap out the coils. I did notice, however, that there was some e-juice residue on the sides of the battery casing when I took out the atomizer, but it was a not so significant amount to warrant a negative. But what happened next might befit a lousy review. I realized my coil depleted even though I had just filled up the tank. To change the coil, however, I realized that I had to disassemble everything: unscrew the drip tip, unscrew the tank from the magnetic top cap and then pour out my e-liquid to then get to the coil. Needless to say, I wasn’t pleased with all this extra work, not to mention the fact that I wasted some premium Vanilla Bean Cream juice from the Sauce LA. The tank was easy to fill, with two sizable slots on either side of the central airflow valve. And despite it being a small mod, the tank is the right size for the battery power and the wattage level, which is between 15 to 20 watts. I thought the airflow valves at the bottom of the top cap was a smart feature to take advantage of, in keeping with the lipstick design. The airflow valves can alternate between four different sizes, and I found that the middle to the top setting was best for flavor and cloud consideration. I also got a very fulfilling lungful of vapor with the medium airflow setting, with the other two setting alternating between great flavor hits and bulbous clouds. The highest airflow setting was ideal for getting a straight-to-lung hit, but flavor diminished. I wasn’t sure to what compare the Lady Q to a mod shaped like something else, a starter kit, an AIO, an AIO starter kit? I finally decided on something that would compare in a technical sense to the Lady Q, and so I decided to compare it to something like the Smok Stick One since it is another all-in-one model with a higher voltage battery at 1600 mAh. The Smok Stick One was also a powerful machine in terms of cloud production, and it also had an adjustable airflow setting on the bottom of the tank. The sleekness and discretion of the Lady Q are where it shines, especially over the Smok Stick One that sticks out like Satan in a church. The fact that you could simply flip over the tank and house it into the battery casing was positive. It protected the tank and made sure you wouldn’t have any juice leaking out. The magnet contacts kept everything in place, so there was no worry about it coming loose. I liked the airflow settings on the Lady Q. The more options gave way to more chances to fiddle around with it, and find which one I liked best, so whenever I felt like getting more flavor or get bigger clouds I could do that quickly. This feature was just pure convenience and protection. I didn’t need to twist off the tank, potentially getting e-juice all over the place, or not have to worry about where to put the tank when I wasn’t using the mode, so I was happy with the stow-away design for the tank. The Lady Q scores many points for performance and design, but it really wins in terms of its discreteness. It collapses onto itself, really, and is great to put in anywhere, so you don’t have to worry about a gangly, awkward device taking up space in your bag or pockets. I liked the touch-sensitive firing button. The button made holding the mod more relaxed since you didn’t need to exert so much extra pressure or contort your hand into a claw to fire the device; you just needed to touch it somehow with your pinky. I have never been a fan of vape disguises, so I wasn’t really taken with the attempt at female-oriented vaping mods. As a man, I wouldn’t personally use the Lady Q for the simple fact that it restricts itself to look like an easily identifiable object (like a lipstick tube), rather than attempting to look like something new (like a vape mod). I wouldn’t have any problems with another, effeminate looking vape mod, as long as it didn’t look like a specific thing. But a mod that looks like a tube of lipstick just doesn’t leave any room for subtext or subtlety. The Lady Q doesn’t feature a lot of modifiable parts. It’s a straightforward type of starter mod, designed to be easy to use and discretely used. You can’t swap out the mouthpiece or atomizer tank if that’s something you enjoy doing to your mods. But, despite its poorly thought-out aesthetic design, I still thought the Lady Q delivered on flavor potential and cloud production. It was easy to operate and performed consistently as a taste-bud pleaser. Read our Apollo Neo review, we checked in details this surprising vape pen for you, just for you. Pleasant sub-ohm vaping experience guaranteed! Aspire K2 Series Vape Review: K2 or K3? The Aspire K Series has three models that, at first, offer simplicity and then adds more features and a more powerful battery. Read our review here.